main frame packed in bubble sheet and woven sheet, and small accessories packed in PVC bags. The main parts are made of aluminum alloy and the spare parts are made of steel. All aluminum components are technically anodized and all steel parts are well hot-dip galvanized. The spare parts made of steel. The roof and sidewall fabric cover are made of double coated PVC. The fabric is waterproof and UV resistant. The fabric is flame retardant to DIN4102, M2 and Grade B1. The weight of fabric is from 650g/sqm to 850g/sqm. Expansion screws: for concrete floor like cement. Steel nails: for soft land and grass land. Weight plate: for floors can't be damaged. Other optional items: AC, chairs, tables, LED lighting, carpet, mobile toilet etc. 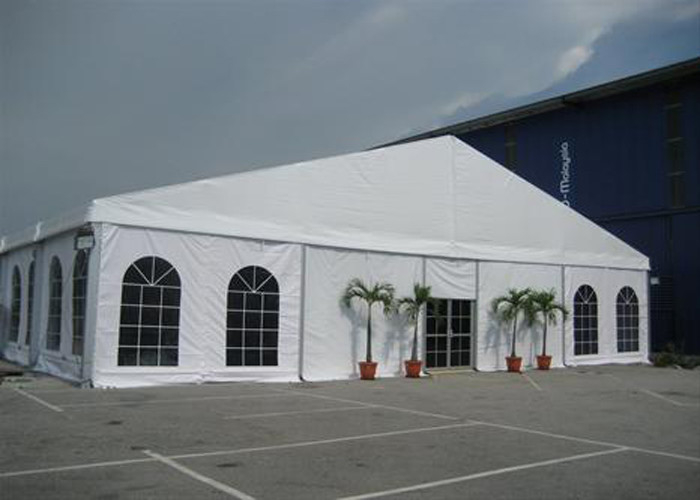 The marquee party tent can be used for birthday party, festival ceremonies, outdoor event and so on. 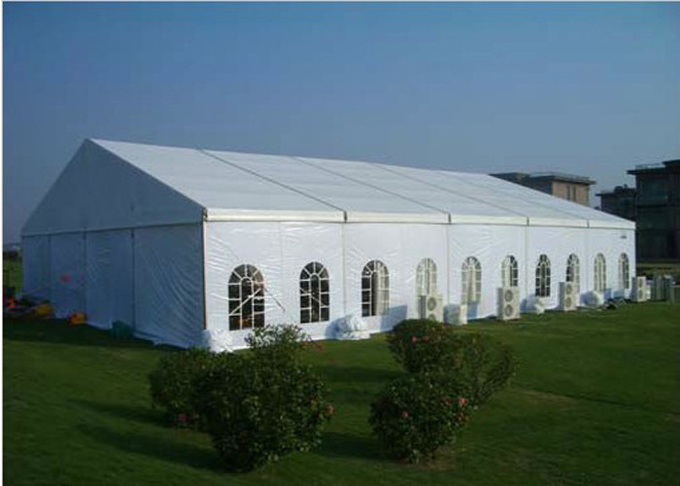 The marquee party tent can be fixed on different grounds, like cement, grassland and soil. The inner has no poles, so the space is 100% applicable. You can increase or decrease the length freely. Longer life span than other types of party tent. All the material is much more durable. Any flat floor space is workable for this solution. More Eco-friendly because it can be quickly moved away after used. 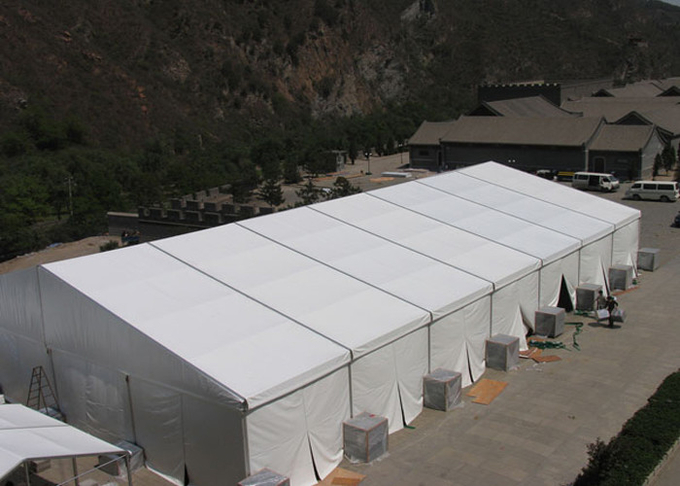 Compared to other types of tent, it is more flexible to decorate the tent inner space.